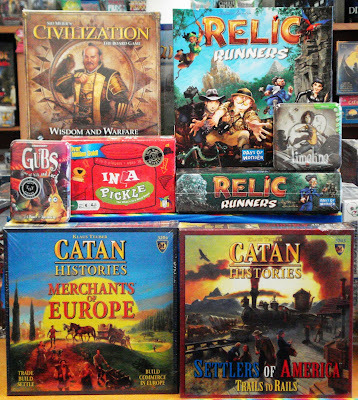 Just in from Days of Wonder is their newest board game, Relic Runners. 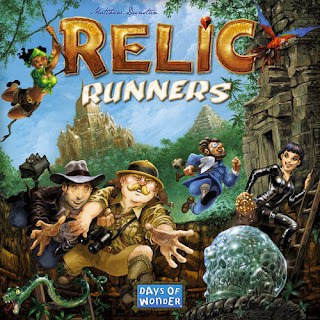 Players take on the role of relic hunters racing through the jungle trying to be the first to get to the long-forgotten temples rich with treasures and relics. To move around the board players must set up their own pathways. There are back packs and tool boxes to help the relic hunters. Treasures can provide victory points as well as special abilities or actions. 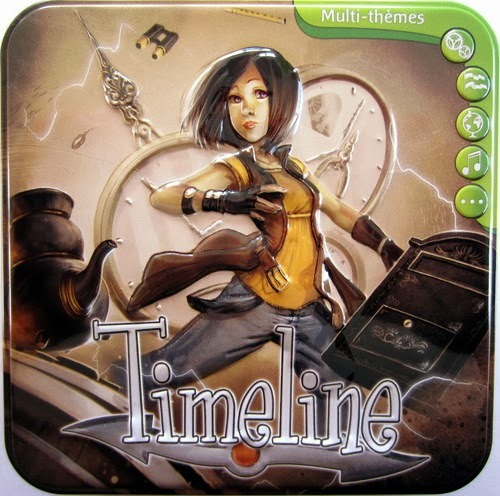 Relics are highly valued and when a predetermined number of them have been claimed the game ends. The relic hunter with the most victory points is the game winner. 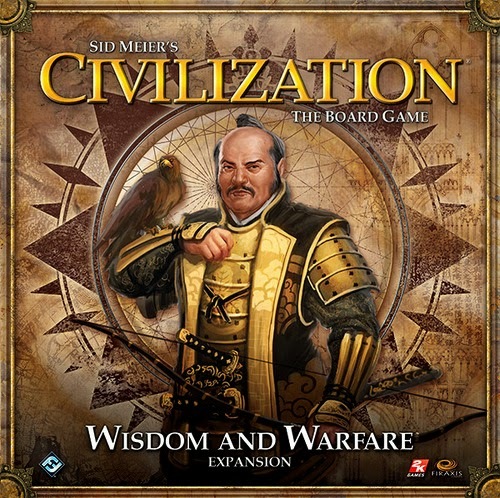 Wisdom and Warfare is the newest and 2nd expansion to Civilization: The Board Game by Fantasy Flight. 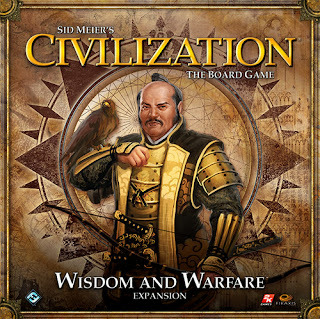 This expansion introduces 6 new civilizations: The Aztecs, The English, The French, The Japanese, The Mongols, and The Zulu. With this expansion, players can now use social policies to refine their governments and pursue new strategies. An entire replacement set of military unit cards makes combat more tactical, and other new additions make the space race a viable path to victory for any civilization. Catan Histories: Merchants of Europe from Mayfair Games is played on a fixed map of Europe in which you win by delivering all of your commodities to your opponents cities. 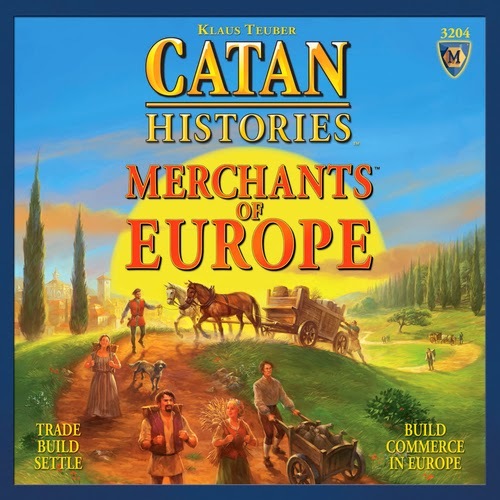 Players are merchants starting with a trade post in 3 cities, a caravan and a trade route. They will recruit new merchants and send them to distant cities to establish additional trading posts in order to expand their interests. Trading posts are vital to acquiring more commodities for trade or sale. Players must also open trade routes and equip caravans in order to deliver their commodities safely. Win by being the first merchant to deliver all of your commodities. 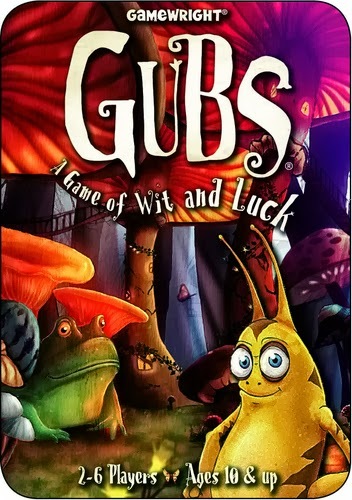 GUBS is a card game of wit and luck for 2 to 6 players. Players will try to build the mightiest colony of Free and/or Protected Gubs. This is no easy task as the cards are loaded with traps, lures, and other surprising events. Victory lies down an ever-changing path and no one is safe until the final Letter card in the word GUBS is drawn. 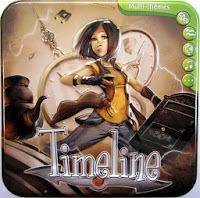 Check in again for the latest in board games!